Zhengyangmen Gate Tower, photographed here on a rare sunny afternoon, marks the south end of Tiananmen Square in Beijing, China. Zhengyangmen was first built in 1419 during the Ming Dynasty and once consisted of the gatehouse proper and an archery tower. 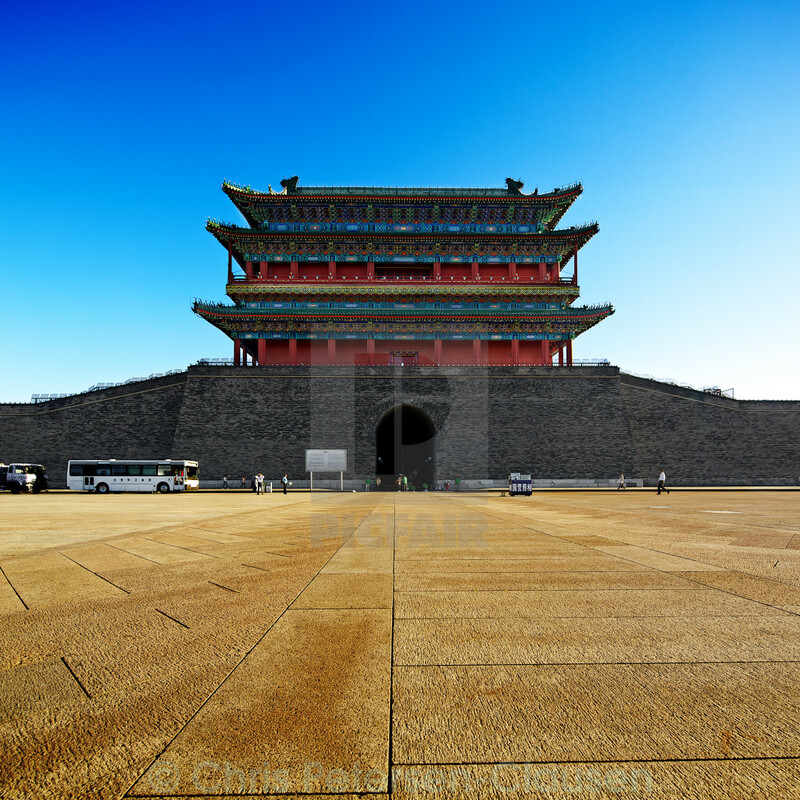 The gate guarded the direct entry into the imperial city and it remains one of the enduring symbols of old Beijing.